Today is Day 18 of the Ultimate Blog Challenge. The suggested topic for blogging is what goes great with your product or service ~ a list of what works with what you do. 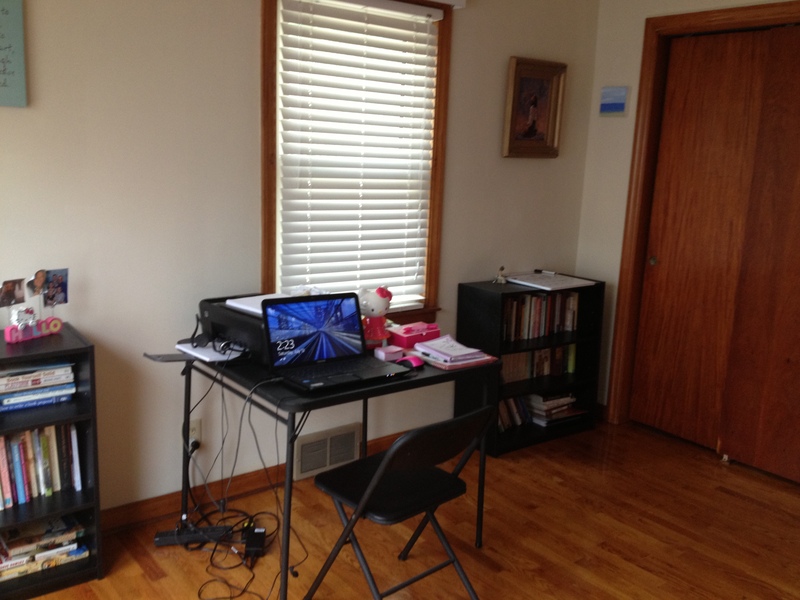 I thought I’d blog about my work space and tools I use that may help you as a speaker, writer, and/or coach. First, my humble work space. Yes, that is a black card table I’m using as my desk. Eventually I may get a new desk. 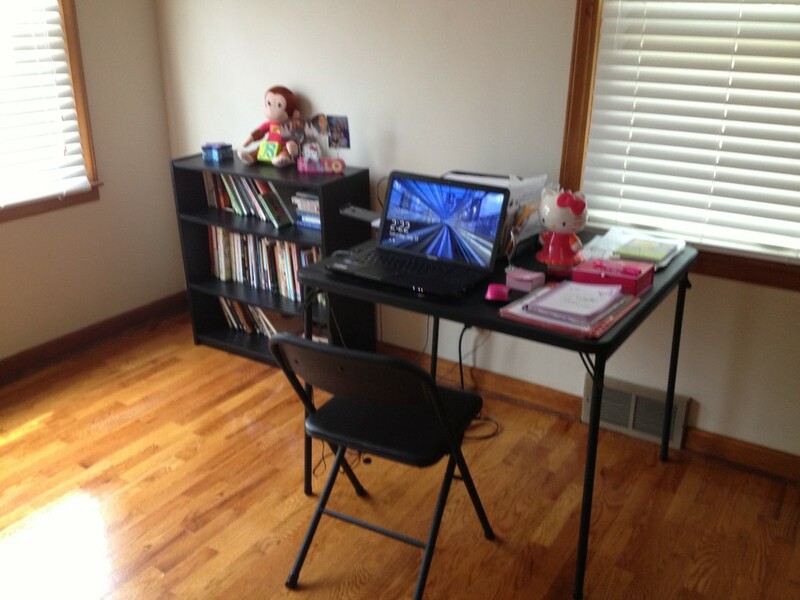 But I am THRILLED because I finally have my own room for an office. The 2 black bookshelves I bought from Walmart were the perfect size for my office. They required a little assembly. 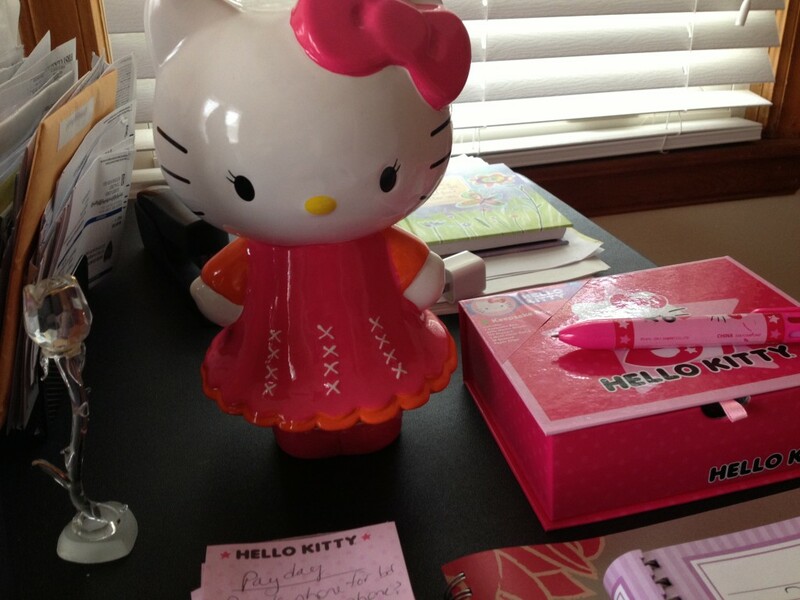 I’m a Hello Kitty fan, and I found some Hello Kitty decorations for my desk. The crystal rose is a precious Mother’s Day gift that I love from our daughter Leah. 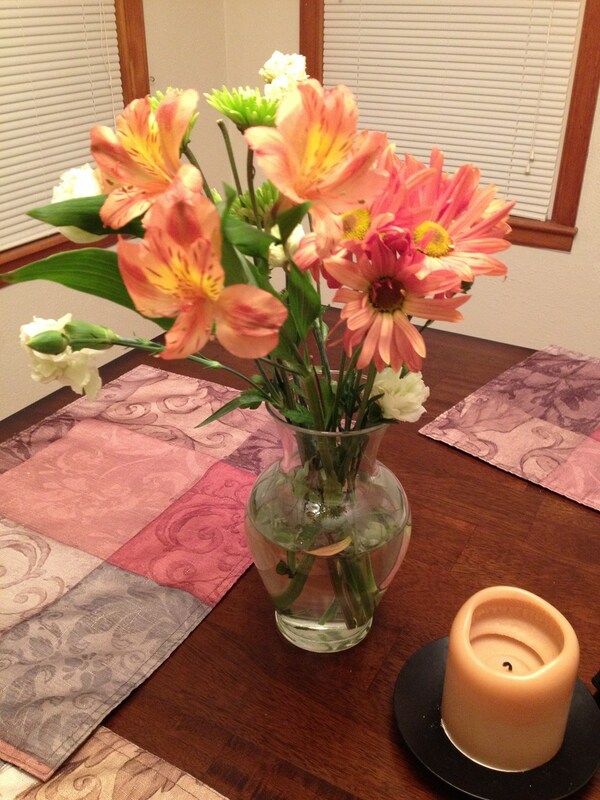 I like fresh flowers on my desk, like these which my friend Liz blessed me with for my birthday. 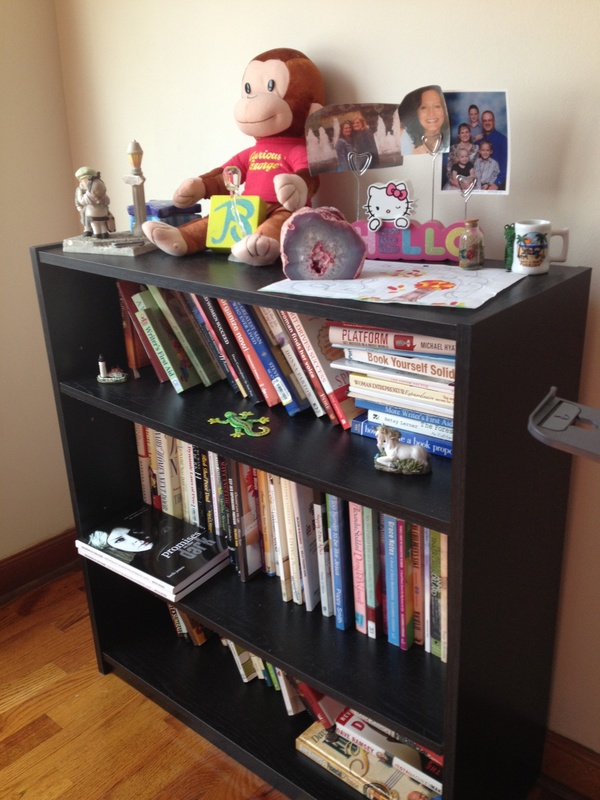 I found 2 black bookshelves for my books and decorated them with little things I love. 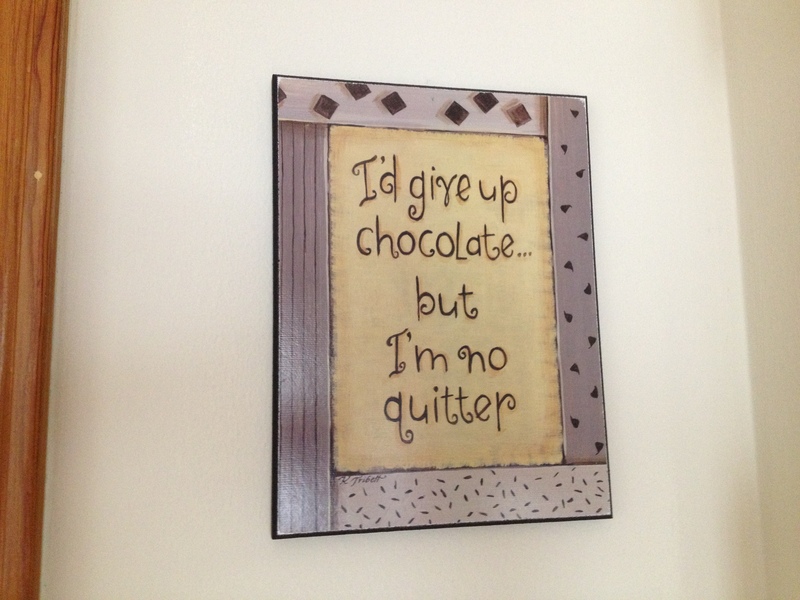 What are some of your fave decorations for your office? some sand from a beach that my friend Shelley visited, thinking of me (I love the ocean). 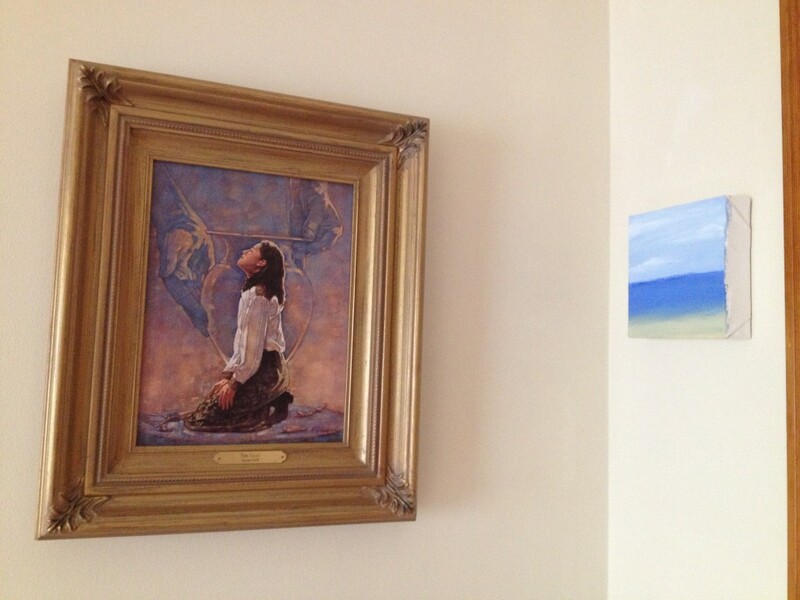 Here is a picture of God the Potter and a woman as the clay (Isaiah 64:8), and an ocean picture painted by our daughter Leah. I found this baby blue pic and love what it says. 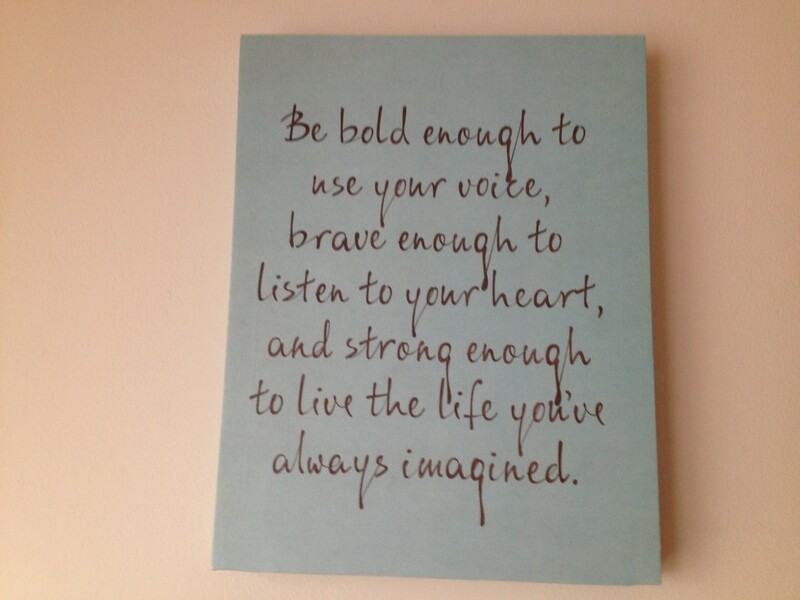 Are you using your voice? This year is flying by and 2015 is around the bend. 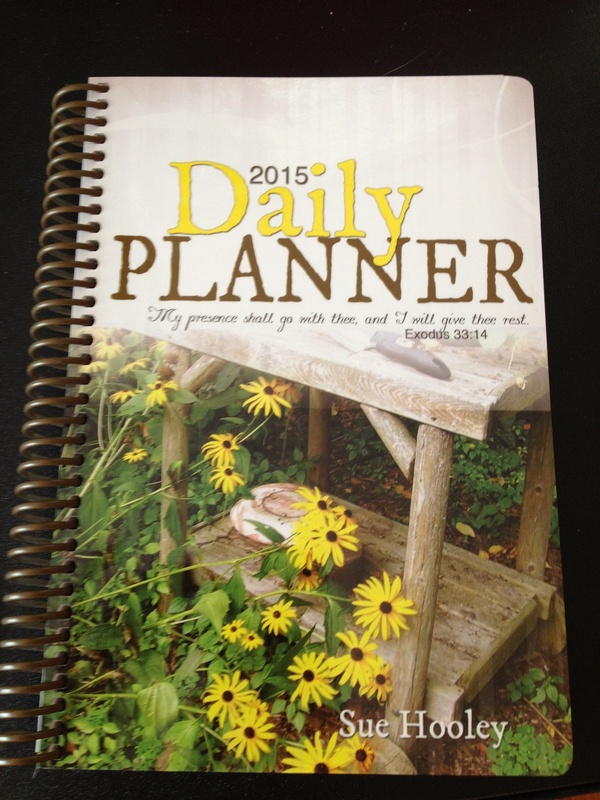 Today I bought a Vision Publishing 2015 desk calendar for booking speaking engagements and for my daily to-do’s. It is pretty and has cheerful yellow daisies on the front cover. I love it because it’s compact enough to carry in my purple sketchy dot Thirty-One Gifts purse/tote that I ordered this week. 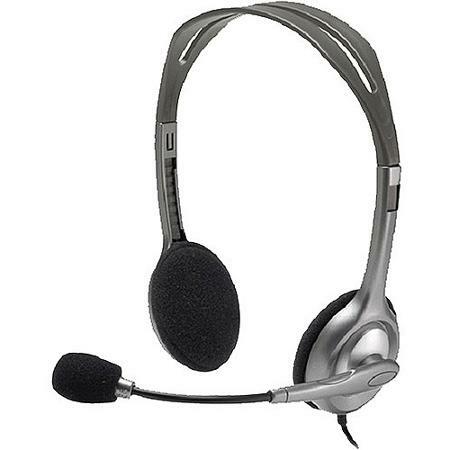 A tool I use frequently for online speaking at my webinars and for coaching clients is a headset with a mic. This frees up my hands for the chat room or to surf the net while talking. I’ve tried different brands of headsets, and have found the inexpensive Logitech ones at Walmart work great. Eventually I’d love to buy the Snowball blue mic. I often use Skype to save on long distance charges, along with Free Conference Call for my webinars and virtual trainings, as well as for coaching clients. 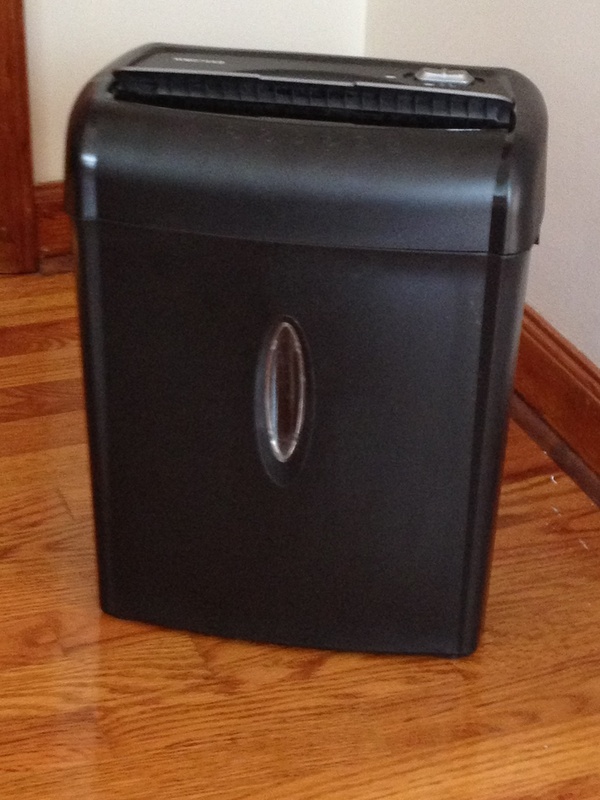 I love a small shredder to tame the paper tiger. This one by Auroracorp.com was under $30. This is where I work each day and are some of the tools I use. I like an atmosphere filled with things I love. What does your office look like? What are some of your most helpful office tools? Leave your comments below.